Consumer research conducted in nine countries has found that the online giant is the most trusted by consumers to handle personal financial data when making mobile payments. 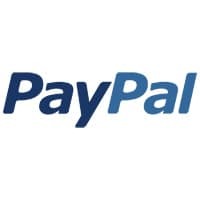 PayPal is the brand consumers most trust with their personal financial data when it comes to making payments with their mobile phones, new research conducted by GfK has found. In a study of consumers in nine countries around the world, PayPal was found to have high levels of trust and consideration thanks to its existing remote mobile payment services. This familiarity means, according to GfK, that the barriers are lower for it to switch to contactless mobile payments using NFC technology than, for example, mobile network operators. Apple, which came second in the table of brand preference thanks to the loyalty of its iPhone and iTunes customers, would also be able to leverage consumers’ trust to enter the contactless mobile payments market, says GfK. Globally, 62% of consumers find mobile payments appealing. This is higher among certain key groups, including younger consumers aged 16-24 (75%); innovators/early adopters (74%); and current smartphone owners (72%). There is also considerable variation between nations. Developing markets in China (82%) and Brazil (73%) find mobile payment services the most appealing, whereas the more established payment systems in developed markets, like the US and Europe, mean appeal in these nations is more limited (around 50%). Across the board, security concerns were the key barrier to greater appeal of NFC payments services. Financial institutions had the greatest level of trust in processing these payments, with mobile and telecommunication brands having significantly lower trust. Within these brands, mobile network carriers have the highest levels of trust, consideration and preference, although they still lag behind financial brands. Readers can download a copy of the full report (PDF) from GfK’s website.